Plan ahead to cover the most ground. Check out the conference schedule in advance and plan which sessions and events are a must-attend. If multiple people from your team are attending, make a plan to divide and conquer so you can collectively maximize the education and networking opportunities. 2. Get there early. Even though the opening general session isn’t until Monday, there are a ton of events happening on Sunday. The Annual Leadership Conference and the Emerging Franchisor Bootcamp are both highly worthwhile, and offer more in-depth, hands-on education. 3. Say yes! Go to the social events, take advantage of networking opportunities, and be open to invitations to parties, dinners, cocktail hours, etc. (especially if they’re from FBR–always the highlight of the conference!). 4. Hit the Roundtables. The Business Solution Roundtables are a great way to get ideas and see what’s working for other franchisors. Even if (or especially if) if you don’t love traditional networking, these small group discussions make breaking the ice easy. 5. Schedule meetings in advance. This is your chance to get face time with as many people as possible. Set up 15-minute meetings to connect with the people you want to see. 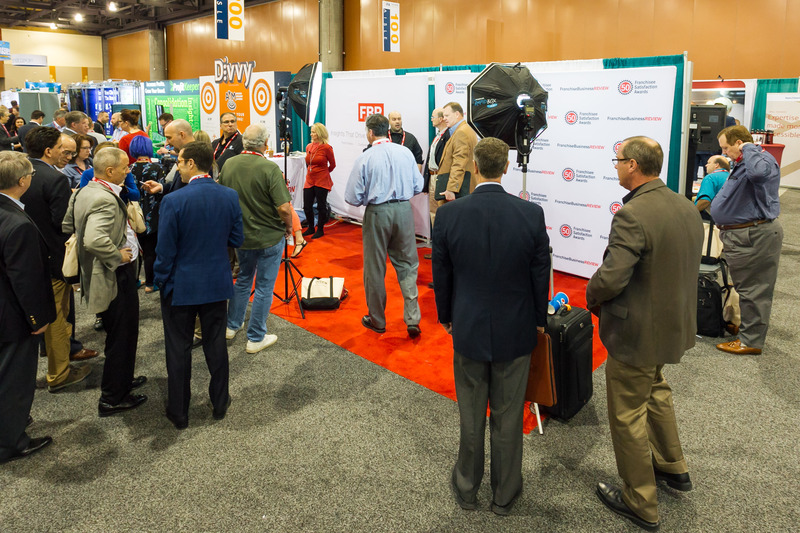 (It can be busy and loud on the exhibit floor, so look for coffee or times when you don’t have sessions scheduled). Finally, don’t skip the Exhibit Hall. The suppliers aren’t just there to “sell” you – most are happy just to chat and share ideas. Not to mention, there are some pretty good giveaways! Visit Franchise Business Review at Booth #636. We’ll be hosting award-winning franchisors who are always happy to share what’s working for them. Plus, we’ll be giving away a free registration to the IFA’s 2019 Operations Seminar in New Orleans. Not registered for the the Convention yet? Register now to save your seat!